There are now plenty of venture capital firms and funds dedicated to big data (or data, generally), and even a few incubators focused on nurturing enterprise software startups. But folks behind a new venture called Data Elite don’t think there’s anything like it. Data Elite was created by Aster Data Co-founder Tasso Argyros and veteran investor Stamios Venios, who’s also its managing director. 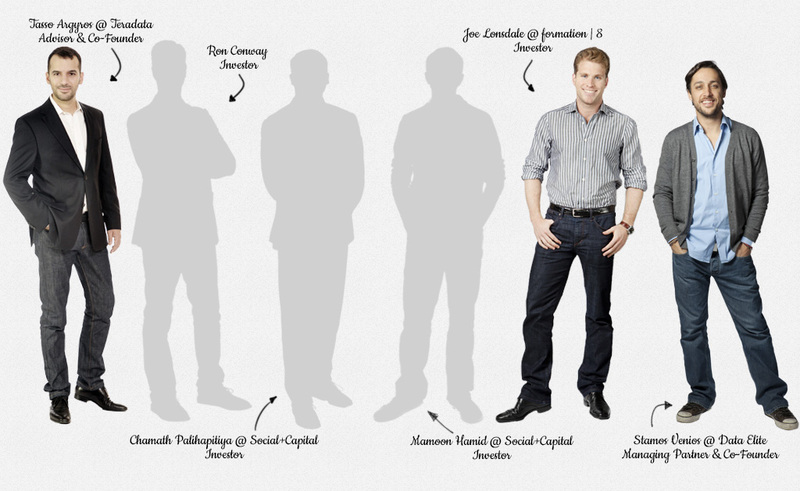 Venture capital partners include The Social+Capital Partnership, Andreessen Horowitz, Formation8, Ron Conway, and Anand Rajaraman (who co-founded Kosmix and @Walmartlabs). Its group of advisers, who Venios told me will spend a lot of time working with portfolio companies, includes Rajaraman and Argyros, as well as about a dozen others — Facebook Head of Analytics Ken Rudin, Qubole Co-founder Ashish Thusoo, and several prominent industry data scientists and engineers among them. What Venios says makes Data Elite different is that it won’t take any startup that claims it does big data, but only accomplished founders who are high-profile engineers or scientists. In theory, everyone wants the best founders and the best companies (take, for example, an early-stage venture firm like Data Collective with its stable of industry advisers), but Data Elite puts specific requirements on the founders. It requires 5 years of industry experience or a successful exit for at least one of the founders. This is in part because of an agreement with the investors that Data Elite won’t lower the quality of its companies. “If we only find one good company, that’s what it’s gonna be,” Venios said. Although right now it has “handshake agreements” with four companies. 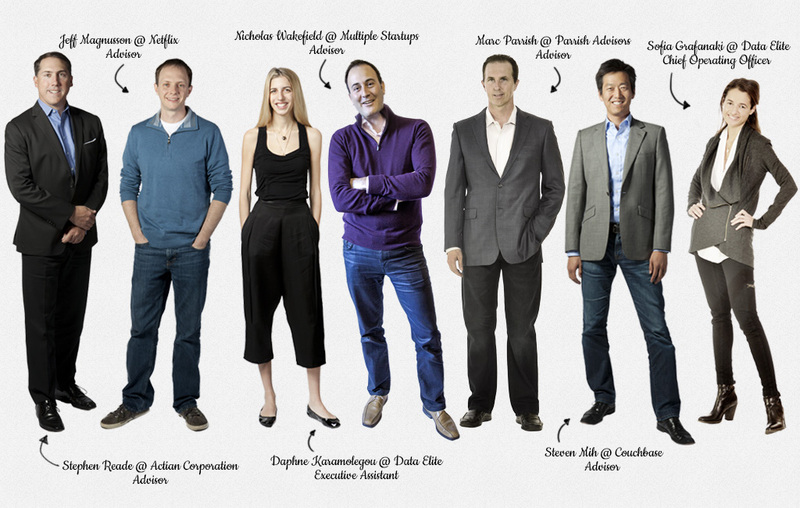 Among them are a pair of professors trying to commercialize a project, and a company that has already raised a series A round but wants some additional cash and advice. Data Elite will provide its companies at least $150,000 in equity investment, as well as free San Francisco office space and resources to host their applications. Venios says Data Elite also has assembled a collection of Fortune 500 companies that will help porfolio companies develop their product strategies. Really smart engineers and data scientists sometimes like to focus on problems that are relevant and real to themselves and small number of other people, but might not translate into commercially viable software. “They need to focus on how to actually build a product … rather than high-profile science project,” Venios said. 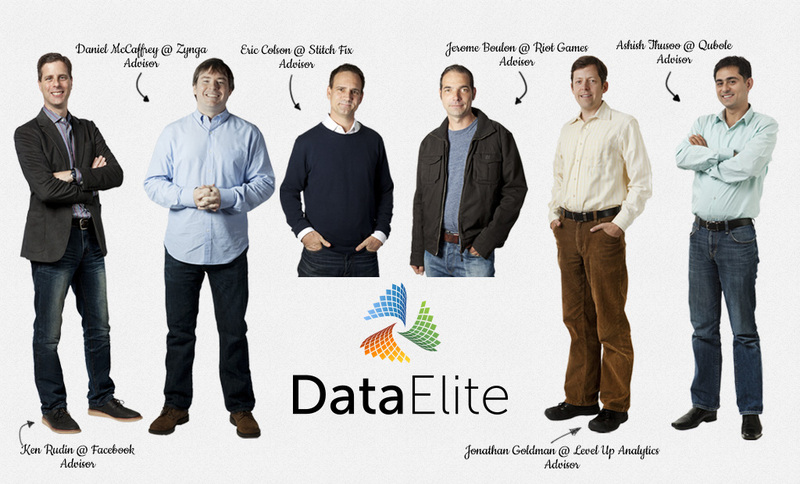 If you’re interested in seeing who all is involved, here are three photos that capture the whole Data Elite team.